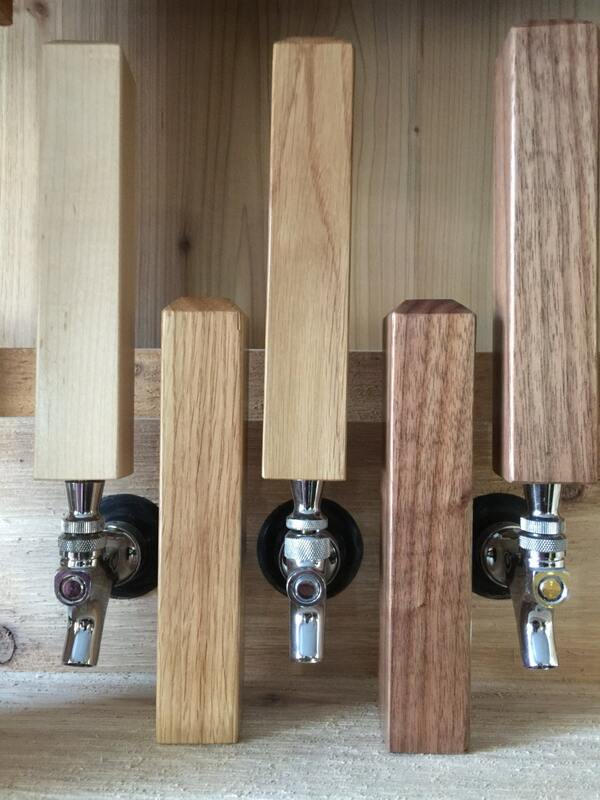 6 Wooden Tap Handles. Home Bar Gifts for Men. Home Brew Beer Handle for Man Cave or Craft Beer. 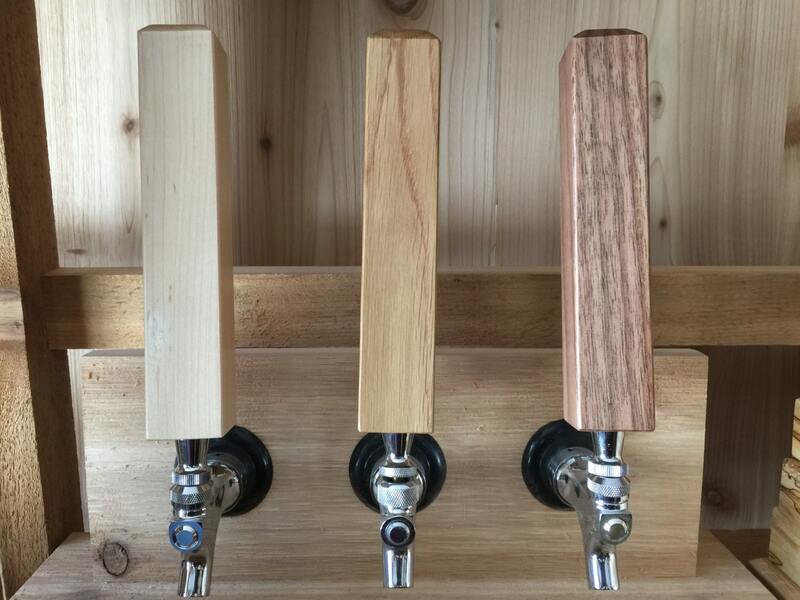 Wooden Beer Tap Handles in Bulk. 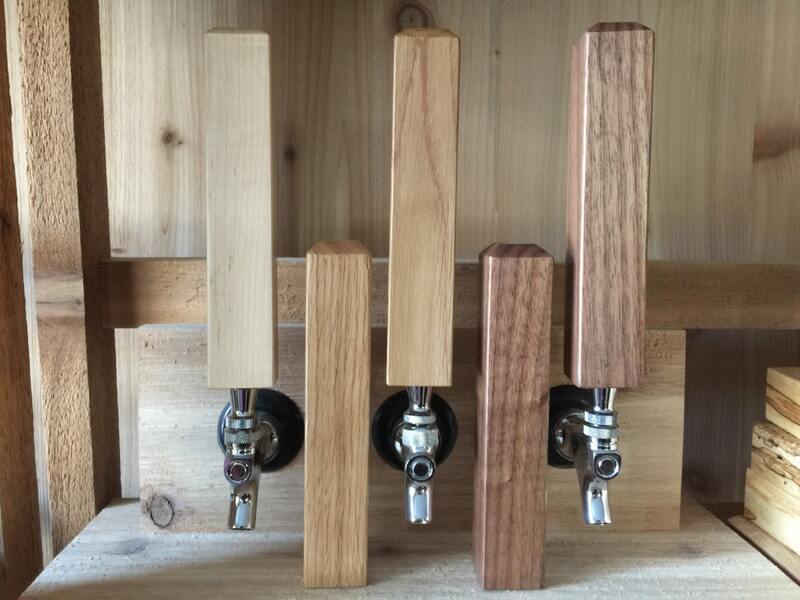 6 Beautiful hardwood tap handles, available in maple, walnut, white oak and cherry. Just a plain, simple tap handle. Can be engraved for an additional charge. Size: 1 3/8" x 1 3/8" x 7 3/4"